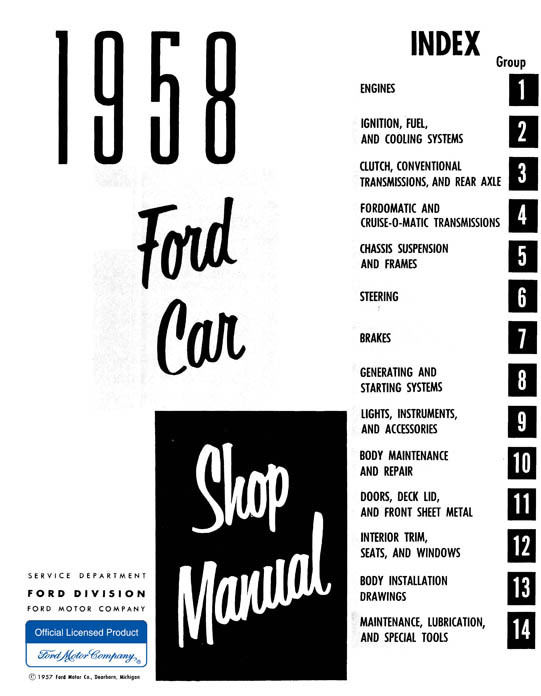 The 1958 Ford Car Shop Manual is the book that Ford mechanics used to service vehicles. There are detailed service procedures for Fordomatic transmission, air conditioning, clutch, manual transmission, Cruise-O-Matic, engine, rear axle chassis suspension, underbody, steering, brakes, generating & starting systems, lights, instruments, accessories, body maintenance & repair, doors, deck lid, front sheet metal, interior trim, seats, windows, maintenance, special tools and lubrication. 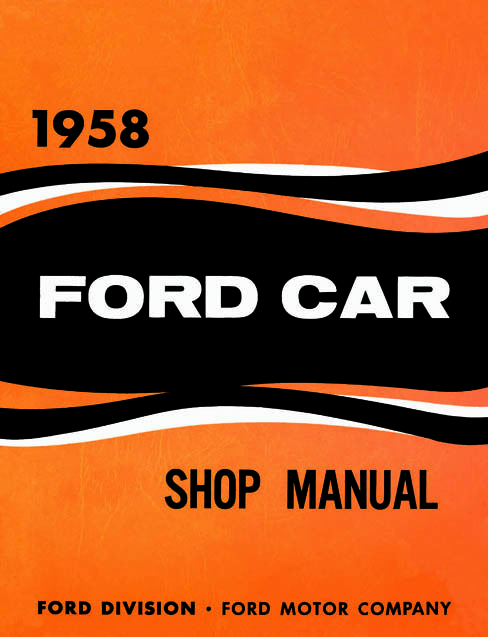 This manual covers all 1958 Ford models including Ford Custom 300, Galaxie, Fairlane, Fairlane 500, Retractable, Sunliner, Courier, Ranchero, and station wagon.